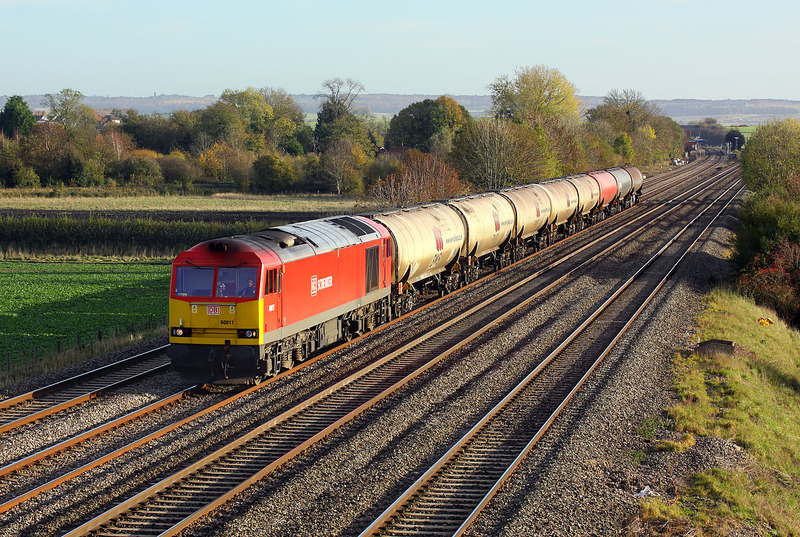 60017 passes Cholsey on 15 November 2013 with the 6E55 13:00 Theale to Lindsey oil empties, with a short load of just eight tanks. The rear tank was making a considerable amount of noise and hunting violently from side to side. I remember seeing this decidedly unsafe phenomenon years ago in the days of short wheelbase wagons, but have never seen it to this extent with bogie tank wagons. A quick check later did reveal that the train made it to its destination without a derailment!